Protestors at the entrance of the Gerald R. Ford International Airport. 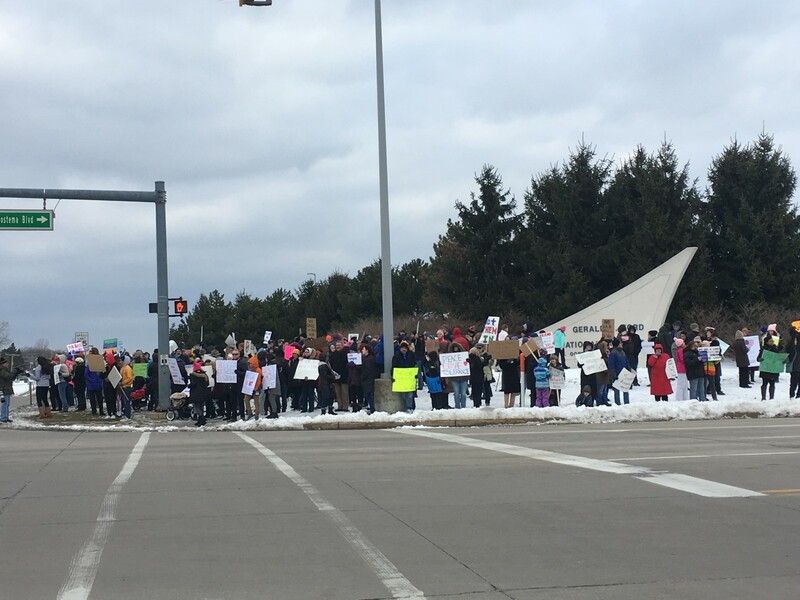 Protestors at the airport entrance on the corner of 44th Street and Patterson Avenue. Protestors marched from the airport entrance to the main airport building. 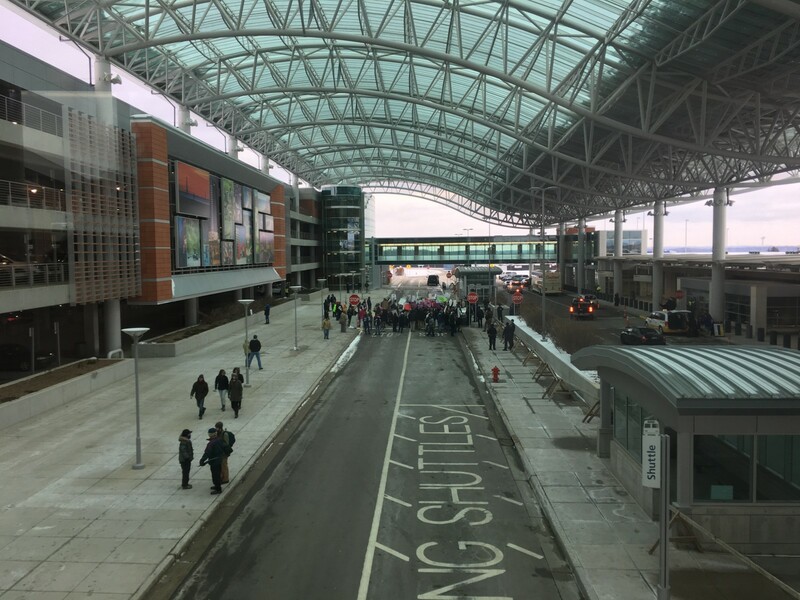 Protestors were surrounded by airport security and city and state police. After President Donald Trump issued an executive order temporarily banning immigration and refugee entry, protests began nationwide. Recently the U.S. Appeals Court halted the ban, but people are still demonstrating against a few of the president’s policies and beliefs. 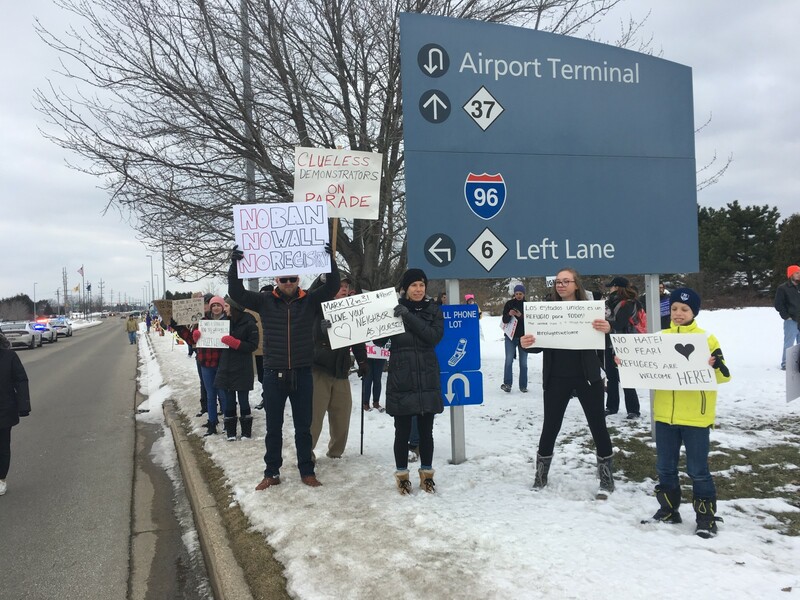 Over 150 people gathered, and marched, at Gerald R. Ford International Airport today. 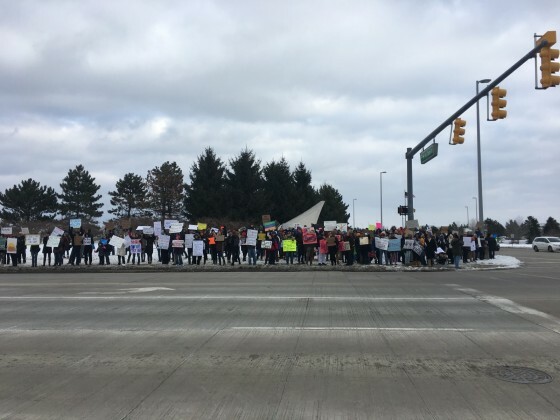 A diverse group of people stood in the freezing winds, passed around hot boxes of pizza, and chanted in unison before turning to march up to the airport entrance. Grand Rapids native Powell, 39, works in social services. 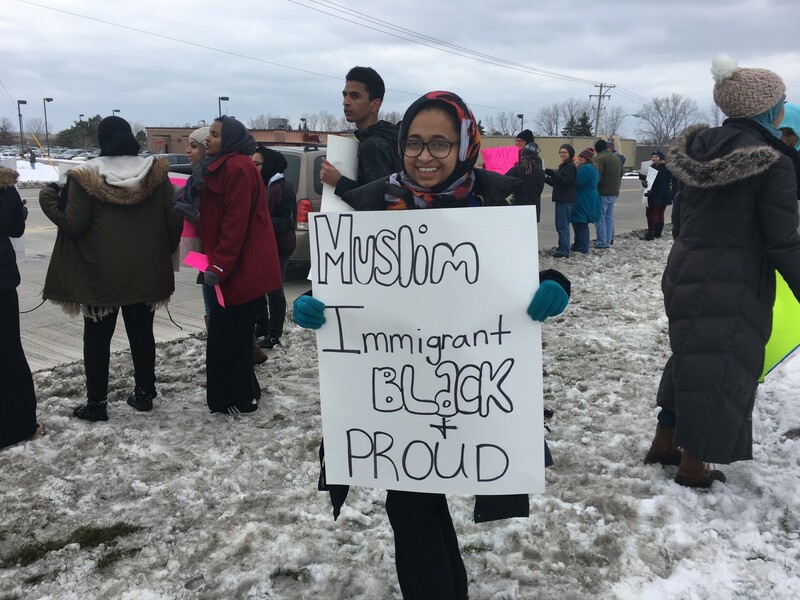 [/media-credit] Mohammed with her sign. Mohammed is Muslim. She teaches locally, and said she and her employees work hard to make the school a safe place, especially for immigrants and refugees. Mohammed said she hopes lawmakers are watching and seeing the uprise following the executive order. 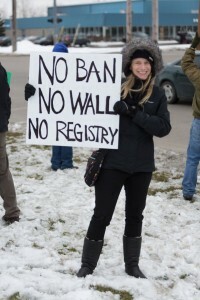 Liz Czerney, of Grand Rapids, agreed that there shouldn’t be a ban. “America was founded on everyone coming to the U.S. and being together,” said Czerney, 16. 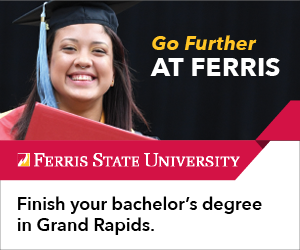 Collegiate staffer Rachael Yadlowksy contributed to this report.